Bikes from Redline, Raleigh, Kona, Giant, Ridley are all available at the Northwest Cyclocross Expo tomorrow at South SeaTac Park. This is not only a celebration of everything cyclocross, it’s an opportunity for riders to look at equipment, talk to manufacturers, and meet racers. Our Cyclocross coverage will start in September with the first races and full coverage on the Hub. 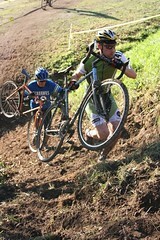 See our Cyclocross Tips page and tags for more. We’re back racing Single Speed in 10 and staying the course!